Forensic science is a field that is most commonly related to the solving of crimes, and is often depicted as this in popular culture. However, the discipline is far more complex and interesting than that. It deals with biology, physics, psychology and chemistry. 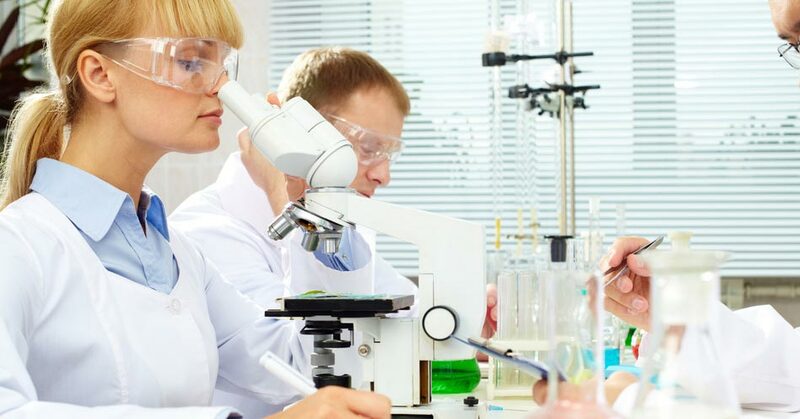 As a forensic scientist working with a police force, you will be expected to examine a crime scene, collect any evidence and process that evidence for any useful information, such as fingerprints and hair follicles. This evidence can be used to solve a crime and identify a suspect, as well as being utilised in any legal proceedings that may follow. An undergraduate degree in forensic science will give you a foundation of knowledge in the area. You will be given opportunities to develop your understanding of chemistry and biological science, DNA analysis and interpretation, and forensic evidence. Your degree might also provide chances to practice your crime scene investigation and practical skills, ensuring that you are well prepared for your future career. Your course will be delivered in a mixture of modes. These will include lectures and seminars, as well as practical and laboratory sessions. You might be required to take part in a placement module, which will give you an experience of working as a forensic scientist. If your degree course requires you to write a dissertation in your final year, this will give you a chance to further research and explore a favoured area of forensic science. The accreditation of your degree will depend on where you choose to study. Typically, you can expect to be awarded a Bachelor of Science (BSc) for a degree in forensic science. You should be aware that different countries can have their own accreditation systems, so your degree title could be different. Some degree courses might be accredited or approved by a professional or governing body for forensic science, but at the moment this is not a necessity for employment. In the UK, your degree might be accredited by The Chartered Society of Forensic Sciences. Generally, you can expect an undergraduate degree in forensic science to take three to four years. Foundation degrees, diplomas and certificates can last up to two years, when studied full-time. On successful completion of your degree, you can choose to either seek employment in your chosen area, or further your studies. Continuation of your studies could be in the form of a postgraduate degree, such as a masters of PhD, or a graduate diploma or certificate. The entry requirements for a forensic science degree will depend on your institution. Some universities might require you to sit an entrance exam, where others may rely on previous exam results. Some universities might prefer you to have studied certain subjects, and others might consider previous relevant work experience. You should check each institution to see what entry requirements they have for their forensic science programmes. Graduates of forensic science degrees most commonly go on to work in crime laboratories, police forces, law firms and medical examination laboratories. Your knowledge will allow you to work as forensic science technicians, analytical chemists, toxicologists and crime scene investigators. You will also have gained many transferable skills throughout your degree, including problem solving, time management, independent work, logical and methodical thinking, and attention to detail.